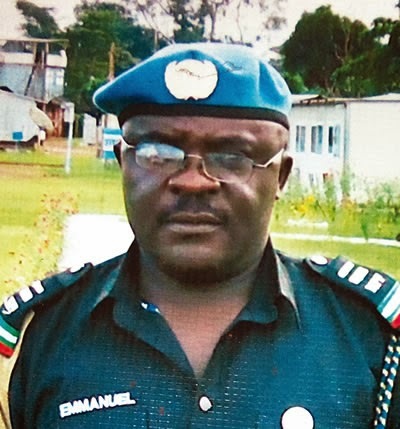 Having served in the Nigeria Police Force for about 30 years, the plan of ASP Emmanuel Mbilla was to retire in 2018 after which he would set up his own private security firm. However, Emmanuel’s dream was cut short on February 22, 2014 after a life-changing encounter with a naval rating, Warrant officer Unaji Enejor, in the Kirikiri area of Lagos State. 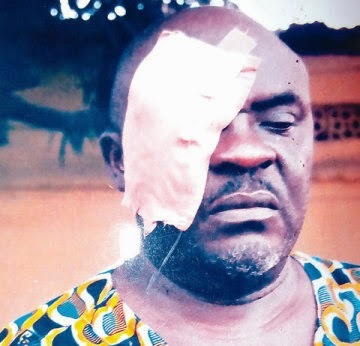 The 50-year-old victim was attacked in the eye by the naval rating, causing him to lose his sight completely. It was learnt that prior to the attack, Emmanuel’s left eye had already been damaged by Glaucoma. The victim’s landlady, Mrs. Olasumbo Agunbiade, who witnessed the incident, told our correspondent that trouble started after Enejor drove recklessly and rammed into Emmanuel’s wife’s shop. She said, “I am the landlady of the property at 25, Agunbiade Street, Kirikiri Town, Apapa. Emmanuel’s wife, Caroline, sells drinks right in front of the house. Around 3.30pm on February 22, Emmanuel and his wife were seated in front of the shop when a man in a red Honda car rammed into their shop. “When Emmanuel accosted the driver, the man alighted from the vehicle and identified himself as a navy man and Emmanuel in turn, identified himself as a police officer. The man wanted to leave but Emmanuel told him that he could not leave without at least apologising and the navy man just used his car key to poke Emmanuel in the eye. Our correspondent learnt that as residents were attempting to take Enejor to the Kirikiri Police Station, two of his colleagues on a motorcycle, arrived the scene and started beating the residents in a bid to rescue their colleague. It was learnt that a few minutes later, the crowd was able to overwhelm the navy men and the suspect was taken to the Kirikiri Police Division but was later released.